Growing blueberries seems to stump a lot of people. This is because blueberries have specific requirements which if not met, mean…a sad plant with little fruit. So I brought on Lee Reich to help dispel some of the mystery around blueberries. You see… Lee knows a thing or two about growing food organically, sustainably and packed with flavor. He’s a well respected author and authority in our industry who loves to share his secrets. And man, does he have a lot to say about blueberries! 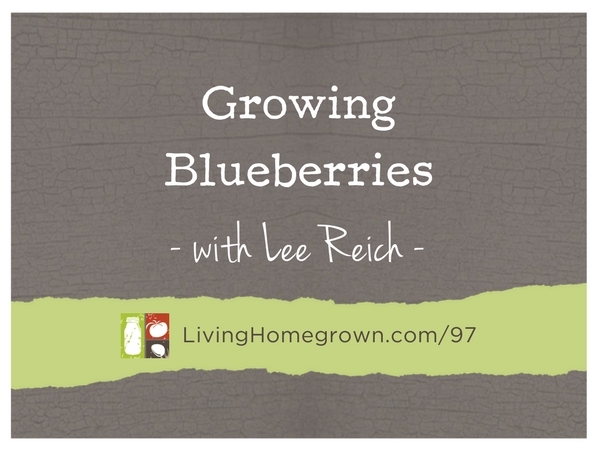 Lee will tell you that it’s easy to grow blueberries…if you know the tricks. And he shares those tricks with you on this episode. Lee Reich, PhD dove into gardening over 40 years ago with one foot in academia (as an agricultural scientist with the USDA and Cornell University) and one foot in the field…the organic field. He eventually expanded his field to a farmden (more than a garden, but less than than a farm) and left academia to lecture, consult, and and write. 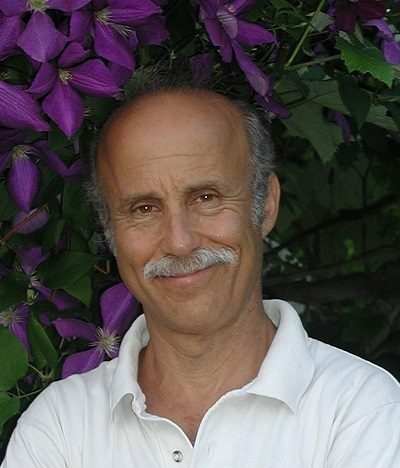 He is the author a number of books (A Northeast Gardener’s Year, Uncommon Fruits for Every Garden, The Pruning Book, Weedless Gardening, Landscaping with Fruit, and Grow Fruit Naturally), and his syndicated column for Associated Press appears bimonthly in newspapers from coast to coast. His farmden has been featured in Martha Stewart Living and The New York Times as well as our PBS television series, Growing A Greener World. Besides providing a year ‘round supply of fruits and vegetables, Lee’s farmden has an educational mission. He considers it a test site for innovative techniques in soil care, pruning, and food production. Thank you for this podcast! I found the information Lee provided very helpful since I’m a novice at growing blueberry bushes. The information regarding fertilizers, leaf mulch and watering was especially helpful. Two years ago, I planted three large healthy blueberries and harvested delicious berries the first year. Last year, I lost one of the bushes and the remaining two looked to be near death. I considered digging up the remaining bushes but as a last ditch effort, I gave them some Sulphur and overwintered them with a layer of leaf mulch. This year, the two bushes look healthy with vibrant green leaves. I can’t wait to see how they do next year after I put some soybean meal down as recommended by Lee. I’ve researched how to grow blueberries on various websites but no one provided the level and quality of information like Lee did. Your podcast is the best and I enjoy listening to it as I do my gardening chores or driving in the car. I’m so glad you enjoyed this episode Carmen. Lee is pretty awesome. He’s going to be on the show again soon!